Arrive Brisbane Airport and Conxions SIC transfer to Gold Coast Hotel. Check-in and Day Free. Overnight. Return SIC transfer to Dreamworld with Free admission to Skypoint Observation. Return SIC transfer to Seaworld OR Movieworld (Choice of 1 Theme Park - must be pre-booked). Overnight at your Hotel. Morning Free. This Afternoon proceed on OWN to Marina Mirage to join 55Min Paradise Jetboating Broadwater Adventure (Courtesy SIC Transfers are available from Surfers Paradise Hotels only). Later this evening join the SIC Natural Bridge Glow Worm Caves Tour with Star Gazing without Dinner (Weather permitting). Check-out & SIC transfer to Brisbane Airport. Arrive Hamilton Island Airport and Courtesy Transfer to your Resort. Your Package includes Free Use of catamarans, paddle skis, windsurfers and snorkelling equipment and Unlimited use of the scheduled ‘Island Shuttle’ service (7:00am – 11:00pm daily). Full Day Cruise Whitsunday's Great Barrier Reef Tour with Lunch. Overnight at your hotel. Half Day Cruise Whitsunday's Whiteheaven Beach Tour with Boxed Lunch. Overnight at your hotel. 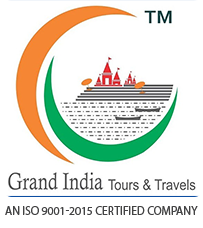 Check out and depart to Hamilton Airport by Courtesy SIC. 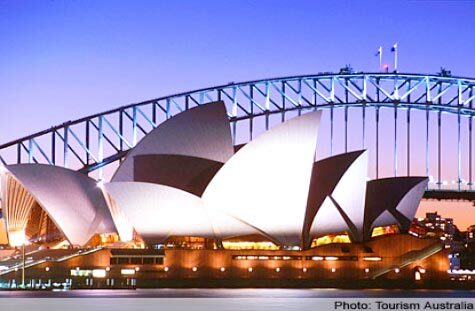 Arrive Sydney & SIC Transfer to your Hotel and Check-in. Use this day unlimited MonoRail pass to travel from nearest station to Hotel & Darling Harbour (MonoRail will close down on 31June 2013). Overnight. 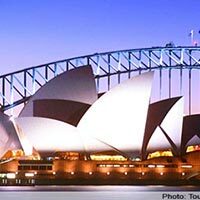 Choice of 1 Full Day SIC Tour, must be pre-booked - Blue Mountains Tour with Wildlife Park + Light Lunch + 2Unit Scenic Ride (1Way Cableway 1Way Railway), (APT # S15+LR - Compulsory & NON Refundable) OR Blue Mountains Tour with Wildlife Park & River Cat Cruise - Tour ends at Circular Quay - No Drop to Hotel (APT # S15+RC - Compulsory & NON Refundable) OR Blue Mountains Tour with Jenolan Caves (APT # S32- Compulsory & NON Refundable, Operates on Mon/Tue/Thu/Sat) . Overnight at your Hotel.